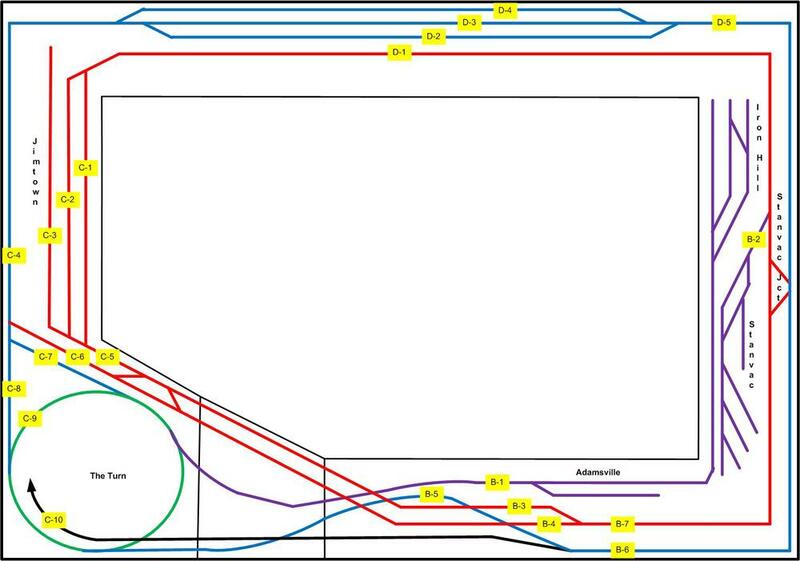 Once the track work concept had been determined I commenced planning for the Power System. 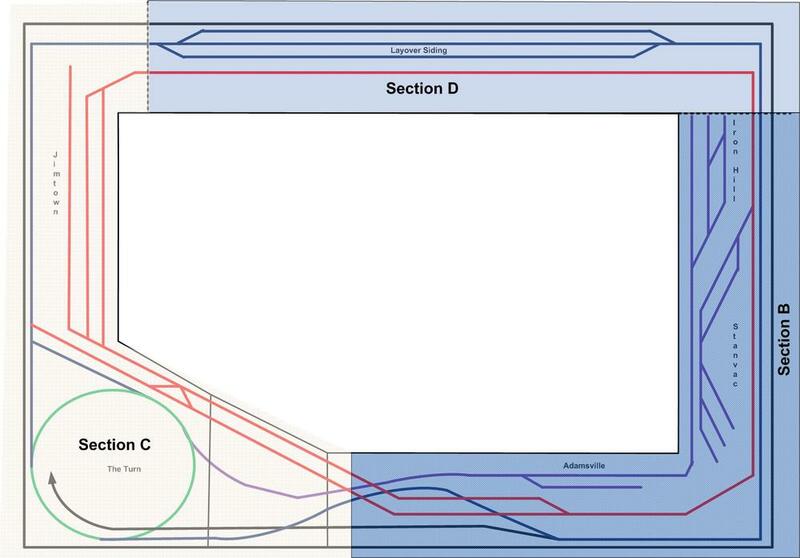 I decided to split the layout into 4 booster areas A, B, C & D.
Operators should ideally not impact other operators if they run against a turnout or have a derailment. 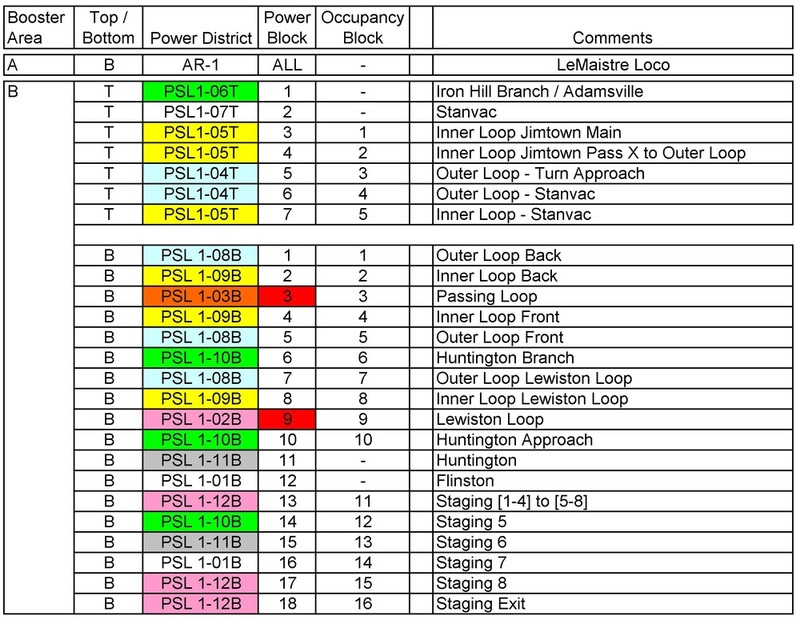 One or more signal blocks in the same power district. 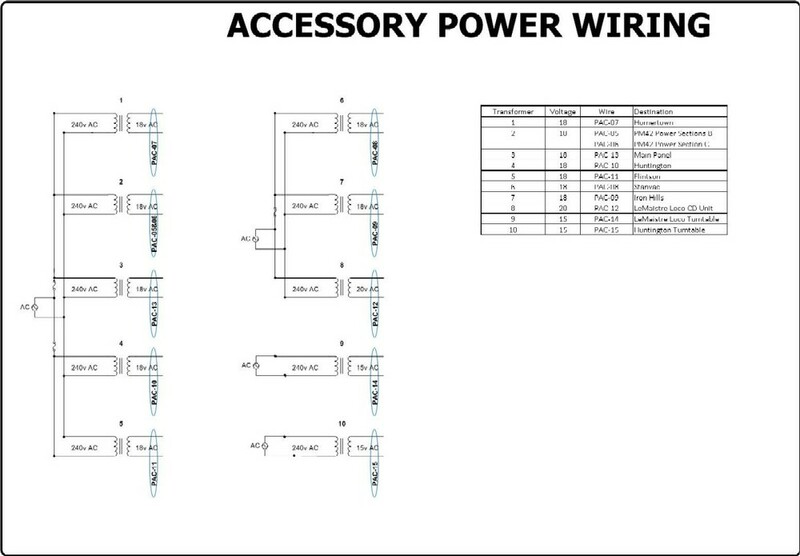 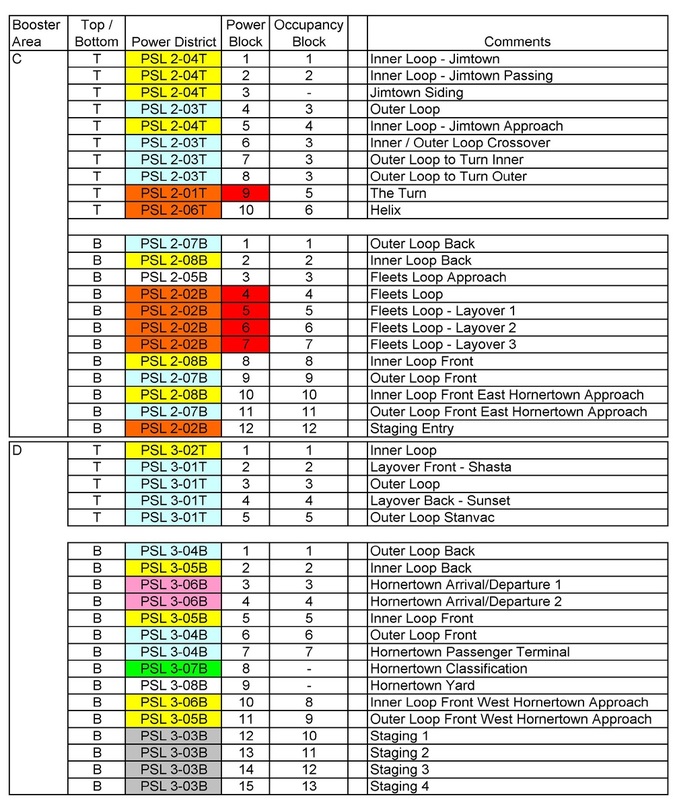 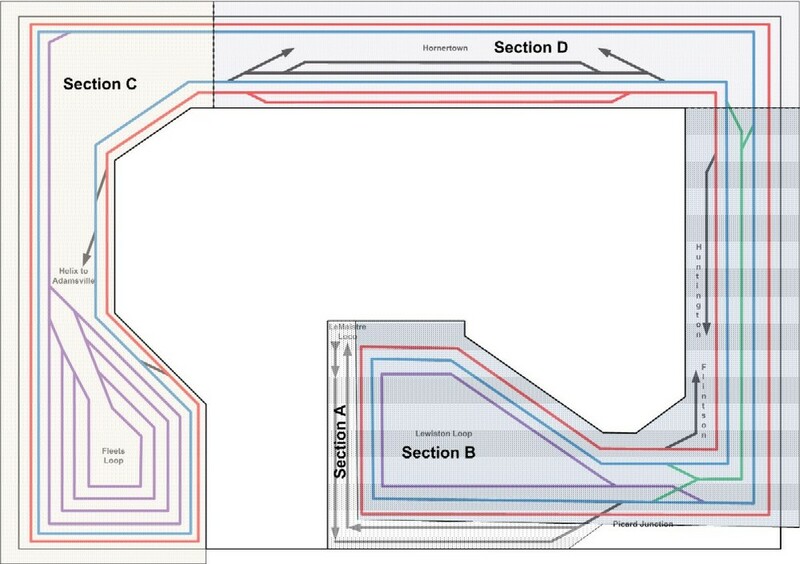 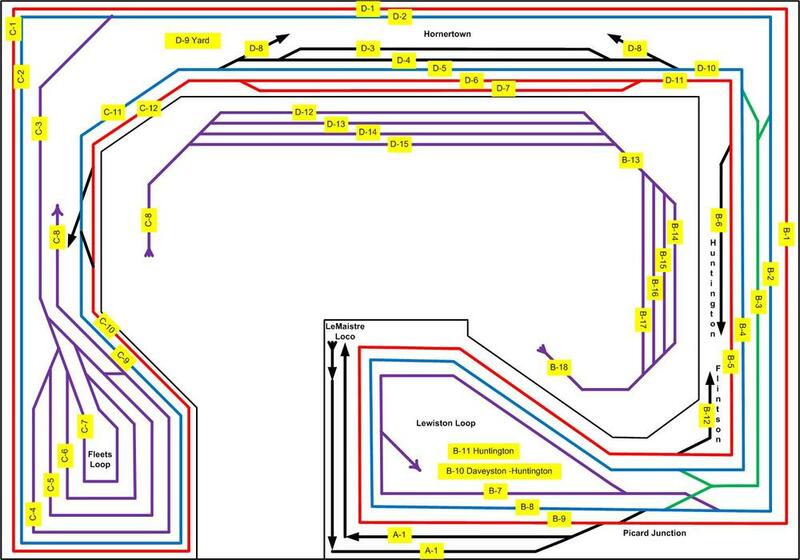 Each of the electrical blocks indicated by the yellow boxes in the two track plans below. 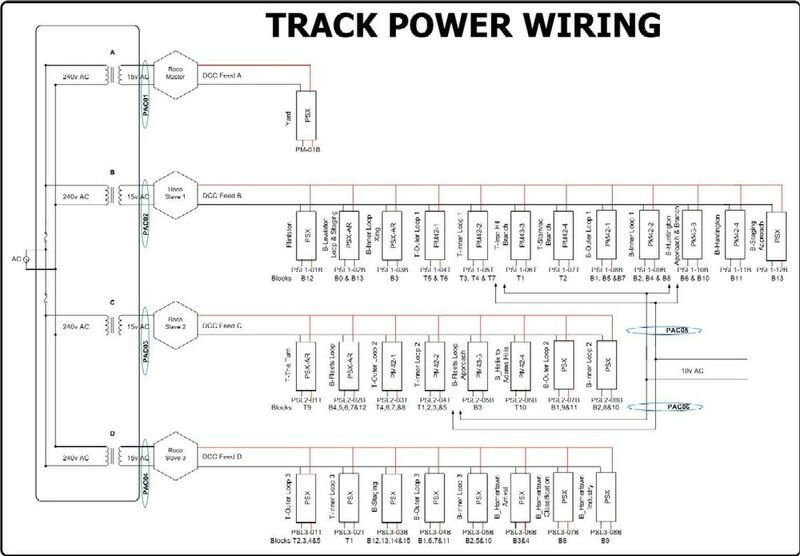 The yellow boxes in the two track plans equate to the “Power Block” below.